You were almost right! I am so bad at the blogging thing! I really give props to the people who blog almost everyday. How in the world do they find things to blog about?! I might just have a boring life :P That must be it... Right now I am sitting with my laptop on my lap, 1 very big cup of Cookies 'n Cream Ice Cream on my left side and Art on the right side telling me to share :P Okay, that's as exciting as my Saturday will get :/ The highlight of my day was downloading some Simpsons episodes onto my iPod. 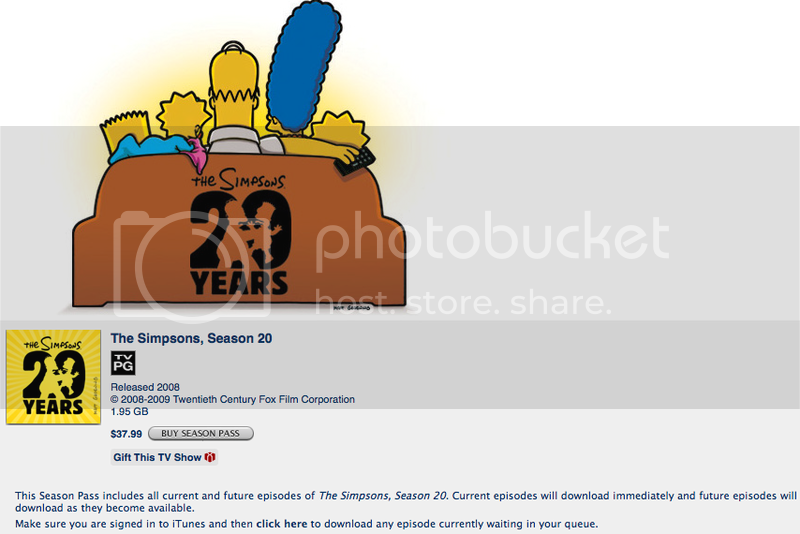 As soon as I saw they now have their episodes on iTunes, I downloaded all the episodes available. If you are a fan like me, check them out! HAHAHA...You are anything but boring Nat! Glad to hear you had a nice evening with Art and good choice with the cookies 'n cream ice cream...one of my personal faves!